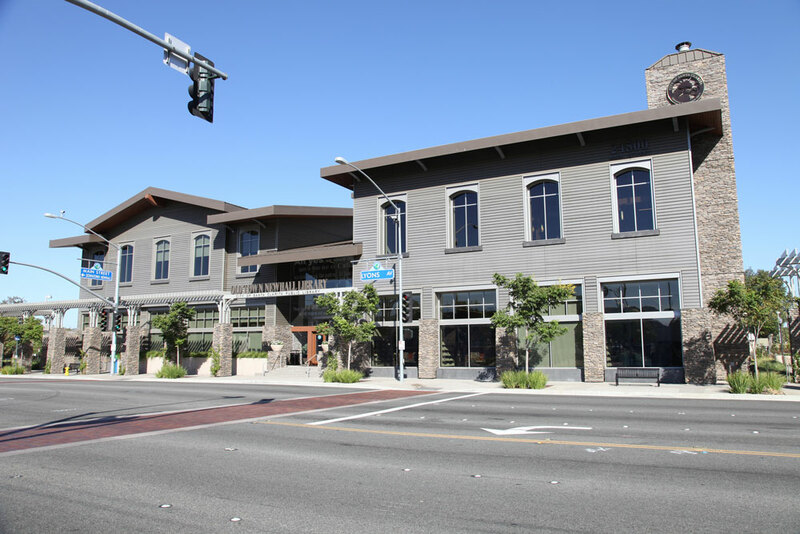 The City of Santa Clarita celebrates Leadership in Energy and Environmental Design (LEED) Gold certification of their Old Town Newhall Library, in the historic downtown district of Newhall. A space that demonstrates “cutting edge design practices,” the library showcases some of today’s most efficient sustainable design features—natural daylighting, an energy efficient building envelope, efficient variable air volume fan units, and a water-cooled mechanical system, which is placed inside the building to preserve the historic nature of the exterior aesthetic. The Old Town Newhall Library is a 28,000-square-foot, free-standing public library located within the historic Old Town Newhall area of Santa Clarita, California. This two-level library features a large community meeting space and public garden, vibrant children’s area, teen center, homework center, local history department and heritage reading room. The library is the first project completed as part of the new vision for the Newhall area. Historical references and public art root this library firmly into the eclectic history of the community. Designed to use 1/3 less energy than a typical library. Drought tolerant, native plants and landscape use 50% less water. Paints and other surface materials have low levels of undesirable toxic fumes. Over 90% of construction waste was diverted from local landfills through recycling efforts. 1/3 of the building materials used were sourced and fabricated within 500 miles of the project site.